A veteran lineup and an influx of talent makes the goal simple for the Gresham boys basketball team this winter. "Our goal from Day 1 is to make the postseason," Gophers' coach Erik Lyslo said. "We have a bunch of third-year guys in the program, who have put in a lot of time over the summer and know what we do." 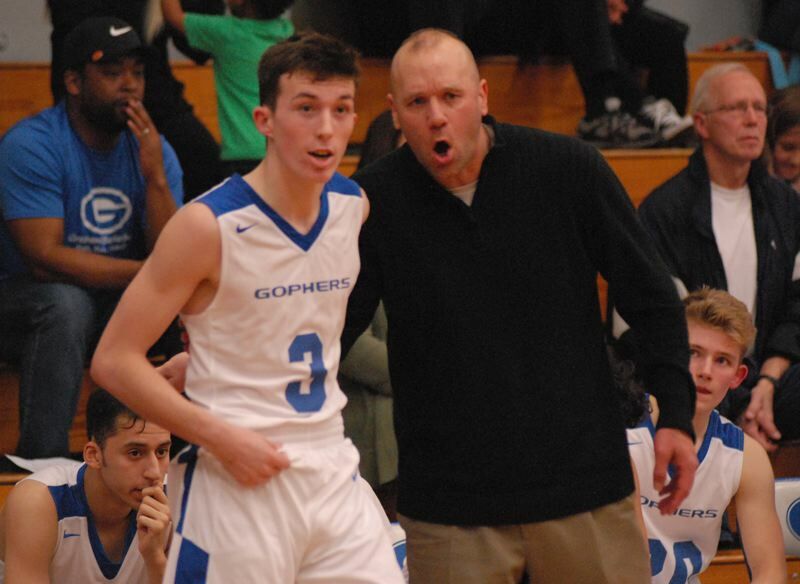 That may seem like a high bar for a team that finished next-to-last in the league last season, but the Gophers are off to a 5-3 start in the preseason with an impressive home win over Lincoln — a 6A final four team last year. The Gophers return their top scorer in junior Ethan Abrahamson — a 6-foot-3 guard who outsizes most defenders in the backcourt. "He's put some muscle on, gotten bigger and stronger and really worked on finishing around the basket," Lyslo said. "He really wants to be a double-double guy for us, so he's become a force on the boards which is pretty special to say about a guard." Part of the problem last season was that opponents locked in on Abrahamson, keeping the ball out of his hands and forcing others to hunt the basket. "In the past teams would face guard Ethan and just wear him out," Lyslo said. "That's different this year. We have the firepower where it's not just Ethan putting the ball in the basket." The Gophers brought in a pair of transfers in seniors Daello Portin-Chapman out of Barlow and Eric Puclik out of Reynolds. The two new members joined Gresham for the summer season, which culminated in a team-bonding cabin stay at a lake up in Washington. "You never know how that plays out, but they are very talented kids who have fit in seamlessly," Lyslo said. Gresham also lost a transfer with Charles Ndayizeye finishing his senior year at Barlow. Portin-Chapman is a lively guard, capable of getting hot from 3-point range, but also able to gain space from a defender and knock down mid-range shots. "He's a natural scorer, who shoots the ball well and attacks the basket," Lyslo said. "He's really bought into becoming a complete player." Puclik is a marksmen from distance, who has been known to score in flurries. "He's someone the guys just gravitate toward," Lyslo said. "He's a confident player, who goes on these tears where he'll explode for 20 to 25 points." Junior Sam Igbonagwam, who started playing organized basketball only two years ago, is filling the team's role of a defensive stopper. "He's got the ability to be one of the best defenders in the league," Lyslo said. Isaiah Butler returns in the post, while senior Connor Henkle, quarterback of the football team, is the first player of the bench. "Connor is very fundamental — he doesn't make mistakes," Lyslo said. Gresham won the Hillsboro-Century tournament over Christmas break. Coming off a three-win season, the Gopher girls are trying to find their way under new coach Mike Leland. He has owned a mortgage company for almost 20 years and has assistant coaching stops from Sunset to David Douglas to Catlin Gabel. "I remember going to the Boys and Girls Club as a young kid, and I'm interested in speaking into kids' lives and I love the coaching piece of it," Leland said. 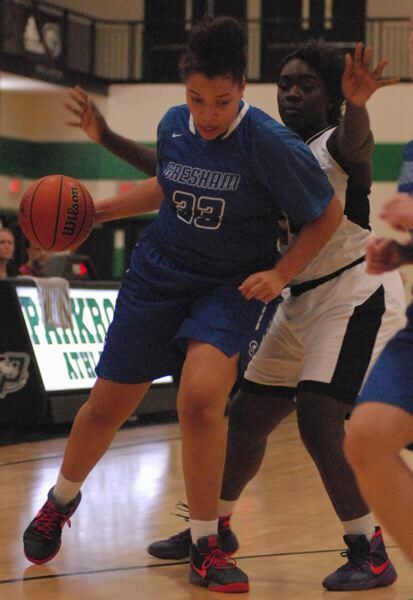 Gresham returns 6-foot center Jasia Mosley, who brings a versatile skill set that isn't limited to only the painted area of the court. "She's able to handle the ball, shoot 3s and score down low," Leland said. "She's a great human being — very vocal in an encouraging way." The Gophers also bring back senior Destiny Ogbeama, a state finalist in the high jump, whose hops are an asset on the basketball court. "She uses that athleticism to get to the rim, and that helps us immensely," Leland said. Gresham looks to increase the tempo and spread the court to find seams to the basket. "I want to see them playing fast-paced, positionless ball where everybody handles the ball," Leland said. "I'm a big proponent of athletes just playing. We want to avoid that systematic, robotic play." The Gophers dropped all 10 of their preseason games, but three of those setbacks came by six points or less. "We preach controlling what you can control — your effort, your hustle, being a good teammate," Leland said. This season preview appears in our Monday, Dec. 31, special New Year's Eve print edition.